Who are the Abrahams’s seed? | Missing the point? Who are the Abrahams’s seed? What is recorded in the seventeenth chapter of the book of Revelation—John’s description of the Whore of Babylon. In our generation, the monolithic power of World Jewry, Zionist has galloped to the forefront. With its vaults of banks bulging with stolen cash, its balance sheet hefty with plundered wealth, its Israeli nation aided and abetted by the military muscle and diplomatic might of the world’s greatest superpower, the Jewish-ruled United States of America, the Synagogue of Satan today sits at the pinnacle of earthly dominion. The Zionist elite have a heinous Plan that is now being worked to usher in the Jewish Utopia. Their Messiah, the Antichrist, will be at its helm. And once this Plan is realized, Gentiles everywhere will tremble with fear and trepidation. Make no mistake about that. Are even the Americans and the Zionist elite working together in the most horrific conspiracy against both God and Man? Yes.. The Jewish Connection to the USA can no longer be disputed. The monstrous tentacles of this global beast now grip the White House and the capitals of Europe. Meanwhile the American Judeo/CHristianity is using their power to try to supress the sale foriegn oil., the big source of the wealth..
Who are Abrahams’s seed? Gal 3:29 And if ye be Christ’s, then are ye Abraham’s seed, and heirs according to the promise. What did Jesus have to say about the Jews of His day? Mat 8:11 And I say unto you, That many shall come from the east and west, and shall sit down with Abraham, and Isaac, and Jacob, in the kingdom of heaven. 8:12 But the children of the kingdom shall be cast out into outer darkness: there shall be weeping and gnashing of teeth. Mat 21:43 Therefore say I unto you, The kingdom of God shall be taken from you, and given to a nation bringing forth the fruits thereof. John 8:39 They answered and said unto him, Abraham is our father. Jesus saith unto them, If ye were Abraham’s children, ye would do the works of Abraham. John 8:47 He that is of God heareth God’s words: ye therefore hear them not, because ye are not of God. What does Paul say about who Israel really is? Rom 2:28 For he is not a Jew, which is one outwardly; neither is that circumcision, which is outward in the flesh: 2:29 But he is a Jew, which is one inwardly; and circumcision is that of the heart, in the spirit, and not in the letter; whose praise is not of men, but of God. Is a non-Christian Jew still one of God’s people? Rom 8:9 But ye are not in the flesh, but in the Spirit, if so be that the Spirit of God dwell in you. Now if any man have not the Spirit of Christ, he is none of His. 2nd John 1:9 Whosoever transgresseth, and abideth not in the doctrine of Christ, hath not God. He that abideth in the doctrine of Christ, he hath both the Father and the Son. Does God hold a preference on DNA or blood? Rom 11:20 Well; because of unbelief they were broken off, and thou standest by faith. Be not highminded, but fear: 11:21 For if God spared not the natural branches, take heed lest he also spare not thee. Heb 8:9 [Their fathers, led out of Egypt] continued not in my covenant, and I regarded them not, saith the Lord. Act 10:34 Then Peter opened his mouth, and said, Of a truth I perceive that God is no respecter of persons: 10:35 But in every nation he that feareth him, and worketh righteousness, is accepted with him. Does God even see a difference in the flesh? Act 15:9 And put no difference between us and them, purifying their hearts by faith. Rom 10:12 For there is no difference between the Jew and the Greek: for the same Lord over all is rich unto all that call upon him. Col 3:11 Where there is neither Greek nor Jew, circumcision nor uncircumcision, Barbarian, Scythian, bond nor free: but Christ is all, and in all. What about all that temple stuff? 1Cor 3:16 Know ye not that ye are the temple of God, and that the Spirit of God dwelleth in you? 3:17 If any man defile the temple of God, him shall God destroy; for the temple of God is holy, which temple ye are. 1Cor 6:19 What? know ye not that your body is the temple of the Holy Ghost which is in you, which ye have of God, and ye are not your own? 2Cor 6:16 And what agreement hath the temple of God with idols? for ye are the temple of the living God; as God hath said, I will dwell in them, and walk in them; and I will be their God, and they shall be my people. Heb 9:24 For Christ is not entered into the holy places made with hands, which are the figures of the true; but into heaven itself, now to appear in the presence of God for us. What does the Old Testament say about this stuff? Jer 9:26 Egypt, and Judah, and Edom, and the children of Ammon, and Moab, and all that are in the utmost corners, that dwell in the wilderness: for all these nations are uncircumcised, and all the house of Israel are uncircumcised in the heart. 1Kings 9:6 But if ye shall at all turn from following me, ye or your children, and will not keep my commandments and my statutes which I have set before you, but go and serve other gods, and worship them: 9:7 Then will I cut off Israel out of the land which I have given them; and this house, which I have hallowed for my name, will I cast out of my sight; and Israel shall be a proverb and a byword among all people. Josh 24:20 If ye forsake the LORD, and serve strange gods, then He will turn and do you hurt, and consume you, after that He hath done you good. 1Ch 28:9 …if thou seek Him, He will be found of thee; but if thou forsake Him, He will cast thee off for ever. 2Ch 7:19 But if ye turn away, and forsake my statutes and my commandments, which I have set before you, and shall go and serve other gods, and worship them 2Ch 7:20 Then will I pluck them up by the roots out of my land which I have given them; and this house, which I have sanctified for my name, will I cast out of my sight, and will make it to be a proverb and a byword among all nations. 2Ch 15:2 …The LORD is with you, while ye be with Him; and if ye seek Him, He will be found of you; but if ye forsake Him, He will forsake you. And lastly…. Hosea 2:23 And I will sow her unto Me in the earth; and I will have mercy upon her that had not obtained mercy; and I will say to them which were not My People, Thou art My People; and they shall say, Thou art my God. 1Peter 2:9 But ye are a chosen generation, a royal priesthood, an holy nation, a peculiar people; that ye should shew forth the praises of him who hath called you out of darkness into his marvellous light: 2:10 Which in time past were not a people, but are now the people of God: which had not obtained mercy, but have obtained mercy. But wait! What about sacred relics, like all the holy golden cherubim, and altars, and menorrahs…Doesn’t it matter? Act 17:29 Forasmuch then as we are the offspring of God, we ought not to think that the Godhead is like unto gold, or silver, or stone, graven by art and man’s device. 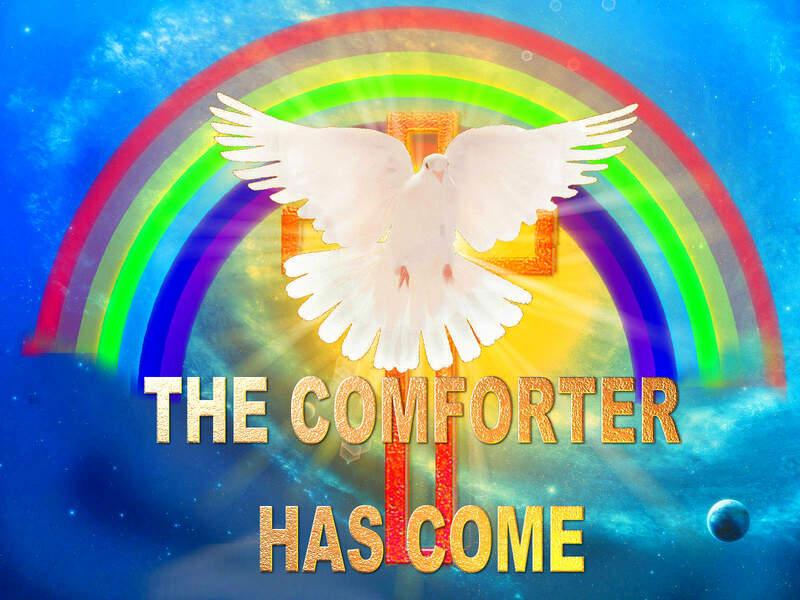 17:30 And the times of this ignorance God winked at(overlooked); but now commandeth all men every where to repent: 17:31 Because He hath appointed a day, in the which He will judge the world in righteousness by that man whom He hath ordained;(JESUS) whereof he hath given assurance unto all men, in that He hath raised Him from the dead. That last group of verses is an absolute 100 megaton explosion to the argument about sacred objects, ‘godly’ graven images of the temple, relics of the OT, and the such implications that these things matter now, or ever really did. God passed it by due to the peoples ignorance, and most likely influences of false religions after leaving Egypt. God never seemed to care about gold, jewels, polished silver, fine brass, or the fabric of holy robes prior to Moses leading Israel out of Egypt, yet from this point on, it seemed to matter a great deal. These verses just explained it all away, and that’s why we as Christians are not instructed to carry on with these things. 1. In the OT God blessed Israel when they were righteous. They prospered, they conquered and ruled, and not a single enemy could lay a hand on them. If needed, God Himself would destroy Israel’s enemies. God also punished Israel severely when they were wicked, and became corrupt. This happens many ways and many times in their history, especially through the book of Judges. 2. Israel completely fell prey to being overthrown as a sovereign nation and became occupied territory by the Roman government in the 400 year gap between the OT and the NT. This fact alone should alarm any person of the Jewish faith, because according to the OT, such a travesty should never have occurred to a ‘righteous’ and ‘holy’ nation. 3. Within one generation after the crucifixion of Jesus, as He prophecied, the temple was completely destroyed, ransacked, ravaged, and obliterated in 70 ad. The holy sacred temple was dashed to pieces and blown to the wind. If God cared so much about temples and sacrifices, He surely would have prevented that. Shortly thereafter, Israel was scattered among the nations and wandered for centuries without having a land of their own. Basically a 2,000 year punishment. Something must have gone terribly wrong. Without even needing to go into the atrocities of the holocaust, how on earth could God have allowed this to happen, if truly Israel had done nothing wrong? Going by scriptural history, the only logical answer is that Israel must have descended into wickedness like never before. Punishment very similar to this has happened previously, in Lamentations 2:5-7, though never for this long. This is where Christianity comes to the rescue and explains what happened to Israel, how they became heathen, and eventually rejected their own messiah and the true ways of God (Matt 8:11-12, Matt 12:7, Matt 5:21-46, Matt 21:43, John 8:47, John 1:18, Act 2:36, Rom 11:20, Col 1:15, etc. etc. see also Judaizers, Sacrifices, and OT violence for more info). As a result of their wickedness, God made good on His word and proved He did not make idle warnings to Israel (1Kings 9:6-7, Josh 24:20, 1Ch 28:9, 2Ch 7:19-20, 2Ch 15:2). Every Christian needs to know this and address these issues to evangelize to the Jews, it’s that easy. The End Times? Does it matter? and who cares? Did you also know these truths? In the New Testament the emphasis is now solely on the heavenly Jerusalem..
Will you even make it to heaven? Have you really died to self? and where does it show? Are you another Judiazer, a false Sabbath day worshipper? You are a Messianic Jew? So why do some people falsely push the Secret Rapture? Are you a Watchtower slave? What part about Free speech do you not understand? Christians are God’s true “Jews” today. So what about the Sabbath?